LivePlan has always been about helping you develop a strategy for your business, setting financial goals and forecasts, and creating a solid business plan. But, planning and forecasting are really just the beginning of setting you and your business up for success. There’s really not much value in just setting goals and then promptly forgetting about them. Instead, you need to use your plan as a tool to grow your business better. You need to know if you’re meeting your goals and staying on budget. With this knowledge, you can make adjustments to your business, tweak your strategy, and modify your spending habits. To transform your plan and forecast into actionable tools you can use to run your business, we added the Scoreboard feature to LivePlan. 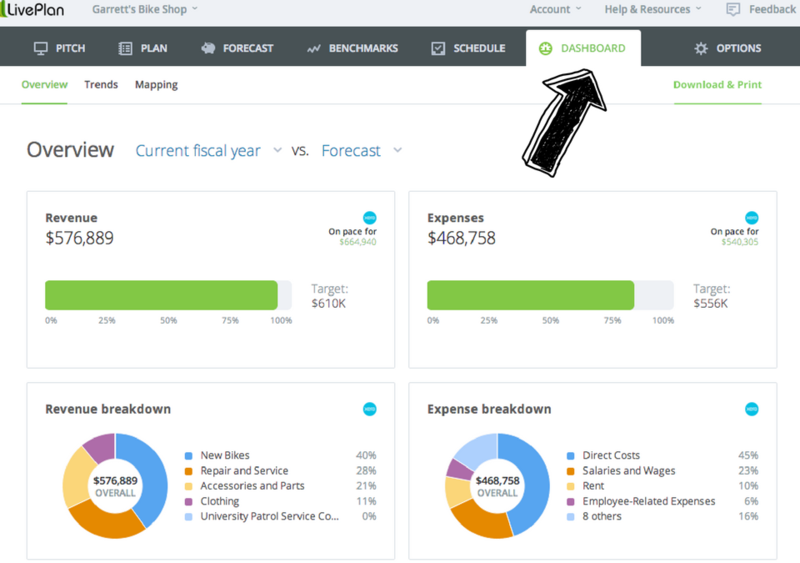 The Scoreboard connects to QuickBooks Online or Xero accounting software and brings your accounting data into LivePlan so you can compare what actually happened to your budget and forecast. When you compare your plan to your actual results, you can see if you’re on track to reach your goals and change your strategy if you’re not. The LivePlan Scoreboard makes it really easy to do plan vs. actual comparisons. You don’t have to stare at a sea of numbers and flip through tons of spreadsheets. Simple charts and graphs tell your financial story in a way that anyone can understand. But, there’s been one problem with the Scoreboard—the name just isn’t quite right. Tracking your financial performance and using that information to guide your strategy isn’t really about “keeping score.” You aren’t just looking at the Scoreboard to know how you’re doing against some imaginary adversary. Instead, you’re steering your company. You’re adjusting your direction and strategy as new information becomes available—this is what all successful companies do, after all. Guiding your company toward success is much like driving, actually. When you’re driving, you’re getting information from what you see through the windshield as well as from your speedometer and other lights and dials. Your car’s dashboard provides a lot of information that helps you make decisions about what to do next. Here’s where you’ll see the change from Scoreboard to Dashboard. It turns out that our Scoreboard is much more like a dashboard than it is like a scoreboard at a sports arena. 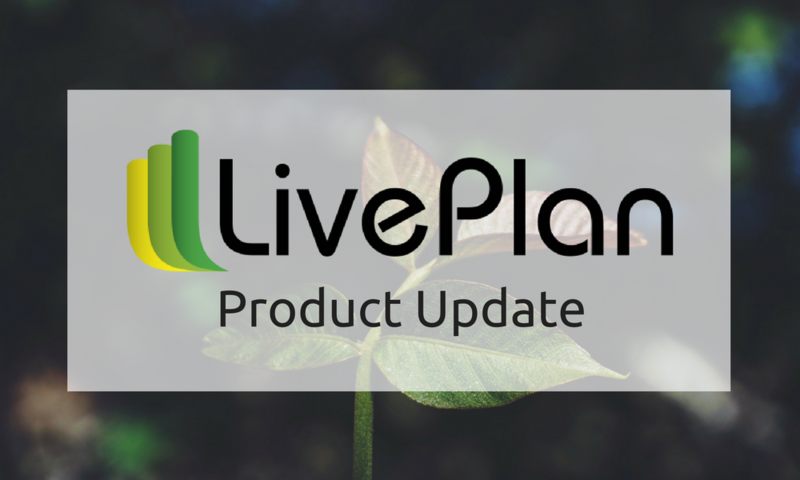 So, we’re excited to announce that we’re changing the name of the LivePlan Scoreboard. It’s now called “Dashboard” in LivePlan, and we’re rolling out changes to our help documentation and other areas of our site to reflect that. This change should be intuitive and simple for Scoreboard users. The LivePlan Dashboard also has a new “print” feature so you can take all the great reports that the Dashboard gives you and share them as PDFs or print them out for your next board meeting or team meeting. If you’re running a business or non-profit that has a monthly financial review meeting (and you should always have this meeting! ), then this new feature will be extremely helpful for you. You’ll be able to come to the meeting with handouts that will impress your audience, and be so much more helpful than the typical spreadsheet reports that you’re used to. We’ve got more planned for the LivePlan Dashboard in the coming months. If there’s a specific feature you’d like to see, feel free to contact me on Twitter @noahparsons.